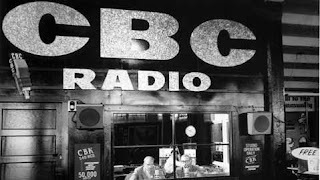 On March 7, 1949, the CBC reported that a worldwide polio epidemic there had reached Chesterfield Inlet in Nunavut and was spreading across Northern Canada. 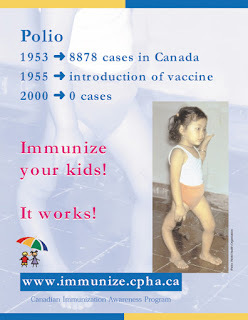 The disease had raced across Canada, then reached the north which did not have facilities to treat the disease. Many were flown to Winnipeg for Treatment. In the end it is estimated that 11,000 people in Canada became paralyzed by polio between 1949 and 1954. 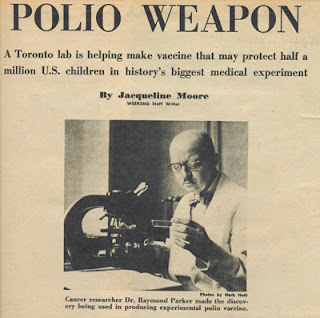 Although there still is no cure for polio, the vaccination, discovered by Dr. Jonas Salk at the University of Pittsburgh and perfected by University of Toronto's Connaught Laboratories, using what was called The Toronto Method The last major outbreak of polio in Canada was in 1959.